Good morning! 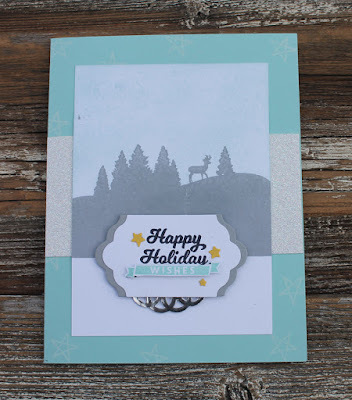 Today I'm sharing a card that my mom made for a swap she participated in. She used the To You & Yours Too stamp set from the Holiday catalogue (p. 4). 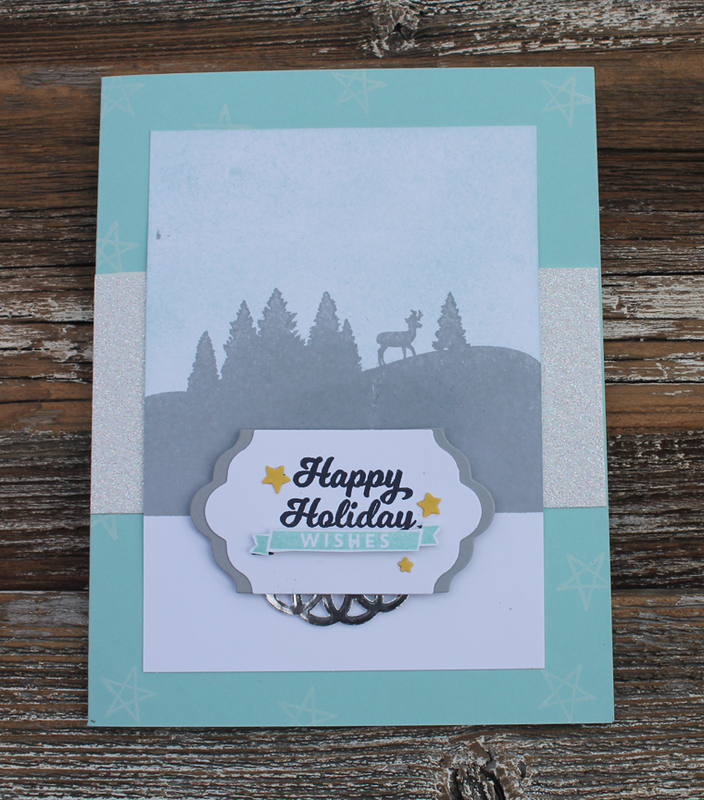 I love how she emphasized the greeting by layering the Lots of Labels framelits, adding a couple colors, the stars and the metallic doily! So cute!